Get the Gold membership of Zomato for 12 months at only Rs. 1500. Enjoy unlimited visits to gold member restaurants and bars. Buy lip smacking prawns from Licious and get FLAT 50% OFF On your second order. Use the Licious offer code to get maximum discounts. Offer is valid in all cities like Mumbai, Chennai, Hyderabad, Pune, Bangalore, Delhi etc. Offer is valid for both new and old users. So what are you waiting for? order delicious prawns and enjoy with your family and friends. Dealsshutter Cashback on Licious Order (New Users): Upto Rs. 60/- Dealsshutter Cashback. Dealsshutter Cashback on Licious Orders (Old Users): Upto Rs. 40/- Dealsshutter Cashback. Now exchange your old furniture with a new one. Urban Ladder offers you voucher of Rs. 20000 in addition of free shipping on an exchange of old furniture. 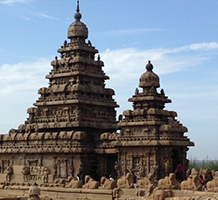 Accessible in Bangalore, Delhi NCR, Mumbai, Pune, Hyderabad, and Chennai. Users can likewise get up to 25% extra value. Get it now!! Buy special dessert of Subway in Chennai on order via Swiggy. Rich Chocolate Truffle Cake @Rs. 91 only. Enjoy it with any extra charges. Subway offers you Veg Seekh Sub 6" (15 cm) at only Rs. 158. Buy this delicious sub without any extra coupon code. Make it according to your taste and make it customized. Order Today! Only Chennai Users can avail this offer. 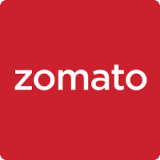 Get 50% off on ordering Zomato Food. The offer is valid for the limited time period. Use coupon code to get 50% OFF (up to Rs150) on your first order. follow the link to know more about the terms and conditions of the offer.